ToNiagara is one of the largest Bus Tour companies offering Day, Evening and Private Tours in Toronto and Niagara Falls Canada & USA. We visit all the popular attractions in Niagara Falls and our tours also include a tour of the famous Niagara-on-the-Lake town. 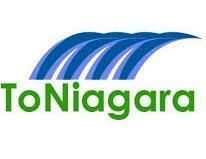 ToNiagara also sells tickets to the most popular attractions in Niagara Falls. Niagara Falls is one of the most popular tourist destinations in the world. Each year over 30 million people visit Niagara Falls.